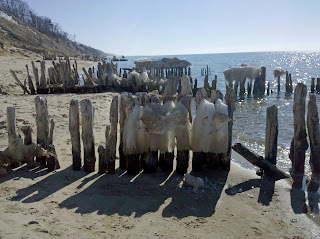 The picture that I have uploaded was taken at Lake Michigan this past weekend. It was so beautiful out there! Tomorrow, I fire the gas kiln. We have a guild sale next Saturday. Also, thinking about what I need to do to prepare for my Clennell class in April. I am very excited to go. I will be using this blog site to comment about the class so that friends and family can stay in touch while I am gone.